Warm weather and sunny days just BEG to be enjoyed. And what’s not to love? Long days at the beach or the pool, hikes and bike rides and campouts make summer memorable. But between sun, sand, water and sweat, all that summer fun can really take its toll on your skin. You probably know that you should apply at least 1 oz. of sunscreen (about a shot glass full) at least 15 minutes before exposing yourself to the sun, and reapply it every two hours or after swimming or sweating. But sunscreen is just one strategy to protect your skin from sunburns, premature aging and skin cancer. 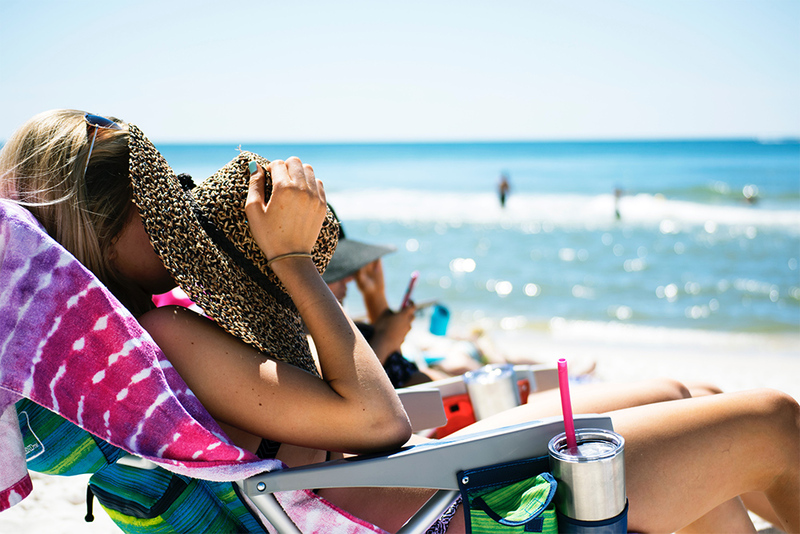 Cover up with clothing and a hat, wear sunglasses, seek shade whenever possible, and try to stay out of the sun between 10 a.m. and 4 p.m., when the sun’s rays are the strongest. Sunshine + activity = sweat, but it’s also a recipe for dehydration. Even if you’re playing in the water, you’re still sweating (who knew?). Signs of dehydration can include headaches, fatigue, lightheadedness, muscle soreness or dark urine. Drinking plenty of water will not only help you prevent dehydration and enjoy your activities more, but it’ll help keep your skin soft and supple. How much water is enough? Take your weight in pounds and divide it by two. That’s roughly the number of ounces of water you need to drink per day. (And sorry, soda doesn’t count). As you can imagine, the sunscreen, sweat, swim, repeat cycle can build up on your skin. Use a gentle toner on your face to remove all traces of dirt, oil and sunscreen every night, and use a loofa or exfoliating mesh sponge when you shower. For extra softness, use a sugar scrub at least once a week. Your skin may feel especially dry after a day in the great outdoors. 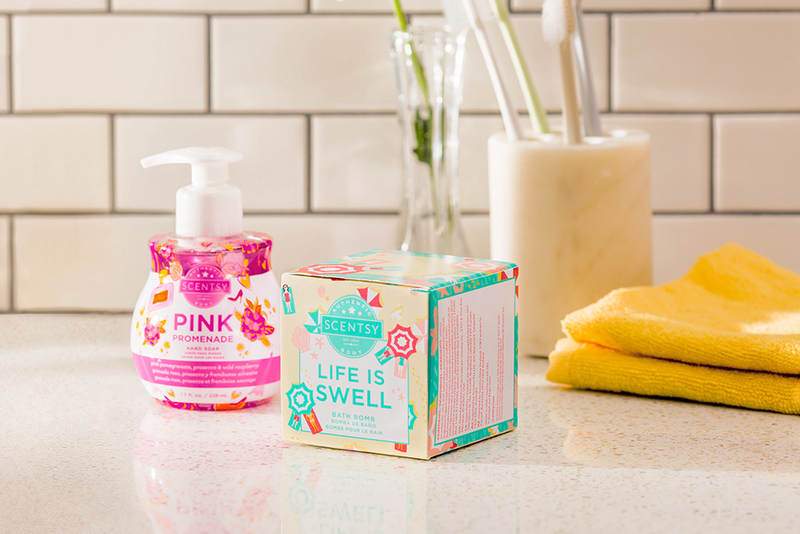 Follow up your shower with a vitamin-rich, ultra-moisturizing body lotion, like Scentsy Body Cream. 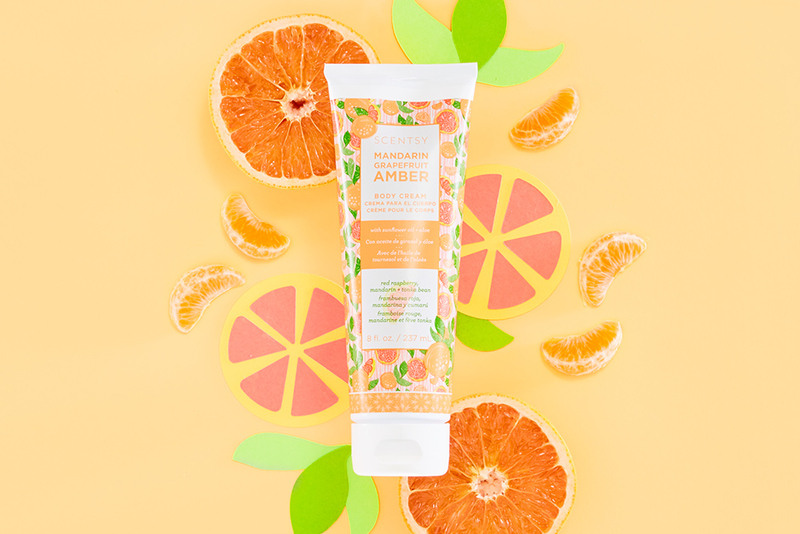 Available in 12 of your favorite Scentsy fragrances, Scentsy Body Cream comes in a generous 8 oz. size, so feel free to slather it on for silky soft and exquisitely scented skin. Want help finding the PERFECT summer fragrance? Contact your Scentsy Consultant! Don’t have one? Find one here.